• Winding wires for electrical machines, usually called enamelled wires. • insulated cables for energy transport. Winding wires, have multiple applications such as electric motors, generators, transformers, compressors, inductors, relays, solenoid valves, etc. On the other hand, cables are used for the made up of electrical systems of civil and industrial buildings and for the supply and connection of electric equipments. From 1996 IRCE shares are quoted in Stock Exchange and from April 2011 IRCE stock is part of the "STAR" market segment - Segment Stocks with high qualifications. IRCE is born in 1947 and fastly conquered its place on the enamelled wires market, at that time ruled by few but big industrial groups. 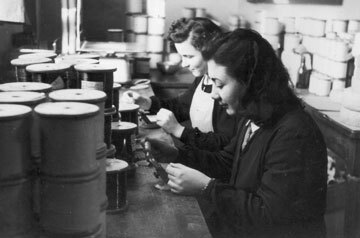 The first exportations started in 1955 and in 1961 the production of insulated PVC cables began. 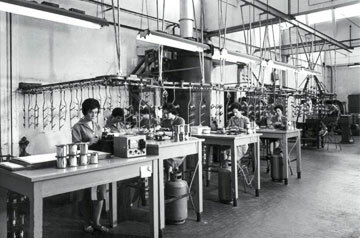 The opening of Imola plant was in the mid-Seventies. The production activity has strengthened in the years thanks to the takeover of Guglionesi plants (1984) which produced electrical cables and, in 1995, the one of Umbertide plant for the production of enamelled wires. At the same time, the commercial activity keeps on growing and it represents a relevant step in the strategy of geographic diversification. The first foreign partnership is made in 1977 with ISOMET AG, for the marketing of products in Switzerland. It is followed by the German DMG Gmbh and later by the French HENCO SA (no more part of the Group). In the meanwhile in Italy it is created ISOLVECO, operating in Triveneto and in 1983 a sales office in Milan opened. Another important step has been made by IRCE in 1998 with the takeover of Smid Draad Nijmegen BV in order to complete the range of the products. 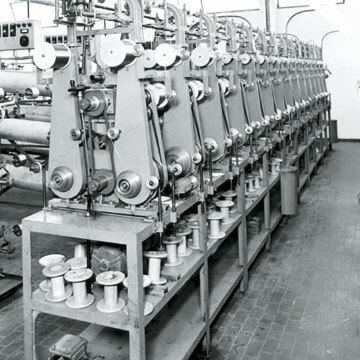 Smid Draad was a Dutch firm producing rectangual winding wires for electrical machines (strips), usually used for the production of motors, big generators and power transformers. June 2000, in Polinyà (Barcelona) IRCE SL is born for the commercial development of the Group on the Spanish market. The 1st of March 2001, IRCE makes a further growing step in the European panorama of electrical winding wires by the acquisition of the English F.D. SIMS Limited (Blackburn), that is the second British producer of enamelled wires and strips. In December 2001, ANDRONIO SPA, is finally bought, whose headquarter and production plant are in Miradolo Terme (PV). Its activity is the production of power cables for electrical equipments. That way IRCE has enlarged the range of its products to be offered to the customers with clear commercial and productive synergies. In 2007 two important steps for the growth of the Group are made: an acquisition of enamelled wires production plant in India (Stable Magnet Wire Ltd) and the end of the construction of Brazilian plant in Joinville, with starting of production in 2008. The last, in the end of 2010, it’s acquired the German society ISODRA GmbH, a specialised company in the production of ultra-fine enamelled copper wires.